Auto HVAC repair form is popularly used by automotive shops work on the ac unit in motor vehicle. 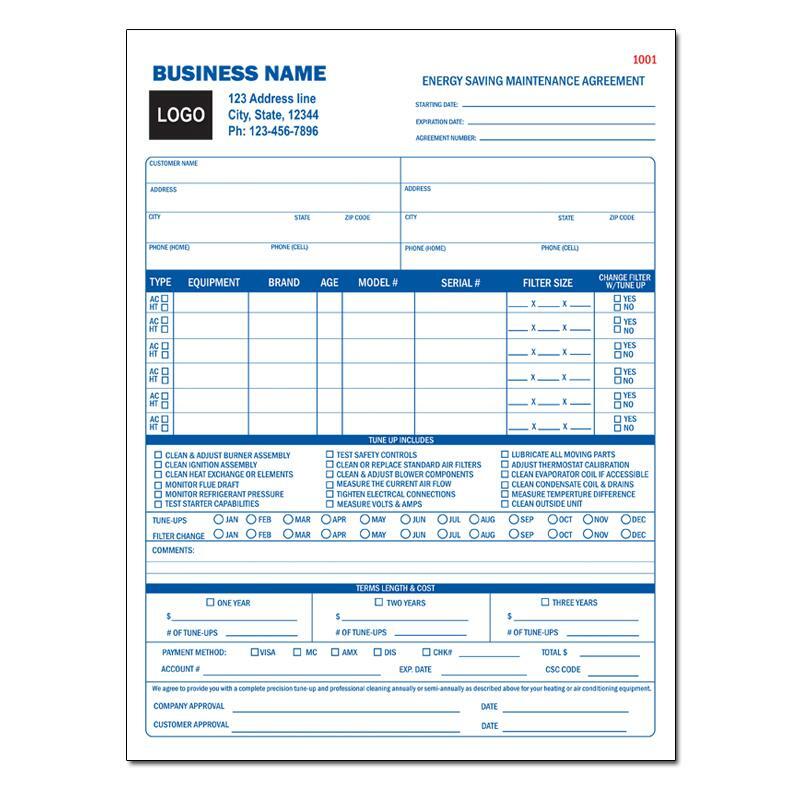 This form therefore focusses specifically on heating or cooling of a car, truck or van. 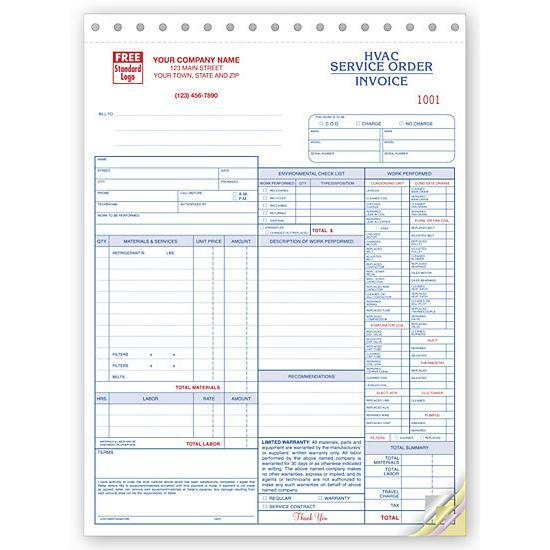 It’s preprinted with all the necessary terms and content to increase efficiency. You can record the customers contact information, the description or work, materials used, labor etc. We can also create a custom design if you have you own idea or a previous form that you normally use. Just email us a scanned copy and we can print it. 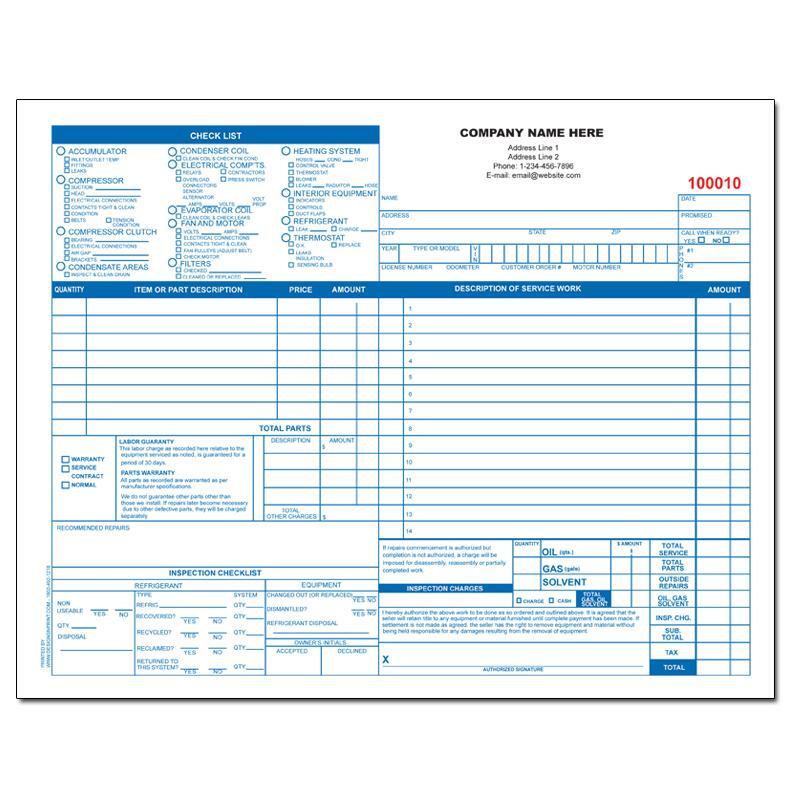 Forms are printed on 20lb NCR carbonless paper and you can customize it by adding the company’s information. Other options: book of 50, perforation, hole punch, numbering, wrap around hard cover back etc.